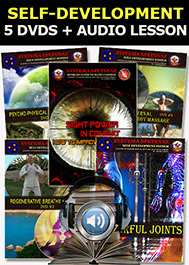 Effective, Practical and Easy to Learn self-defense for the Modern World! SYSTEMA SPETSNAZ - MOST POPULAR PACKAGES! PACKAGE #3 - 20 DVDs! 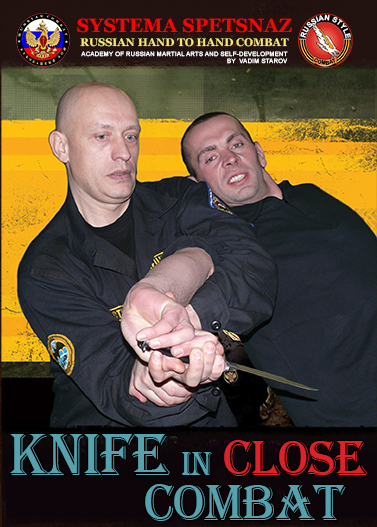 A lot of students from different Martial Arts have discovered that Systema Spetsnaz system is more effective, more realistic and easier to learn compared to what they've learned already. That is true. Systema Spetsnaz system is unique, but we would like to say - Do not depreciate your achievements. All Martial Arts have their uniqueness and benefits! 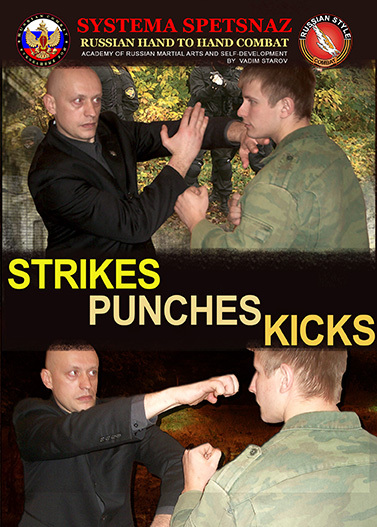 Take Systema Spetsnaz principles and combine them with your current combat knowledge and you will be unbeatable! So, what is specifically different in Russian Systema Spetsnaz compare to other Martial arts? 1. The biggest difference in Russian Systema Spetsnaz is that we teach principles, don’t specific fighting techniques.We teach principles of physics and mechanics. 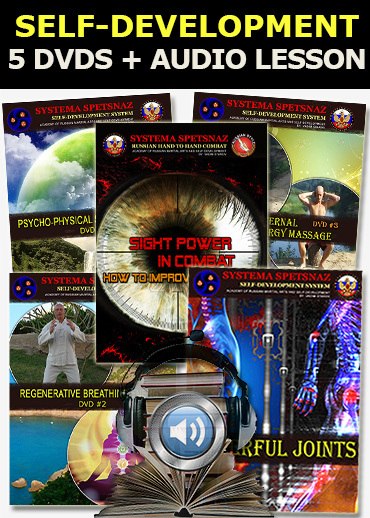 Systema Spetsnaz is based on sciences, such as mathematics, physics, geometry, anatomy and human psychology. It is like learning an alphabet. When you know letters, you can write your own story vs remembering specific words (or specific techniques). 2. We don’t believe in “blueprint” in combat. In other words, memorized techniques will not work in real life. Everyone has a unique body type, height, weight, different body flexibility and different self-defense experience, same as your opponent. The specific technique will work well for one person and may be deadly for another. Every situation is unique. That is why we are focusing on individual approach, showing a lot of variations and base the training on laws of science! 3. Systema Spetsnaz works for everyone! 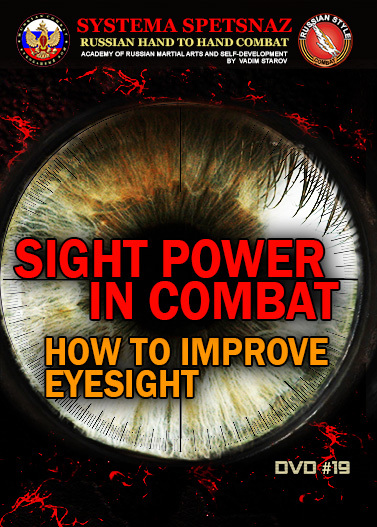 We don’t have any age, gender or physical abilities limitations.Because we are teaching principles, not techniques, you don’t have to memorize specific combat combinations. You can create your own variations based on your age, gender, and physical abilities. The training is based on universal principles of motions. Learn the principles and, immediately, you will know hundreds of effective and practical techniques that can be used for strikes, punches, kicks, takedowns, grabs, and chokes! 4. 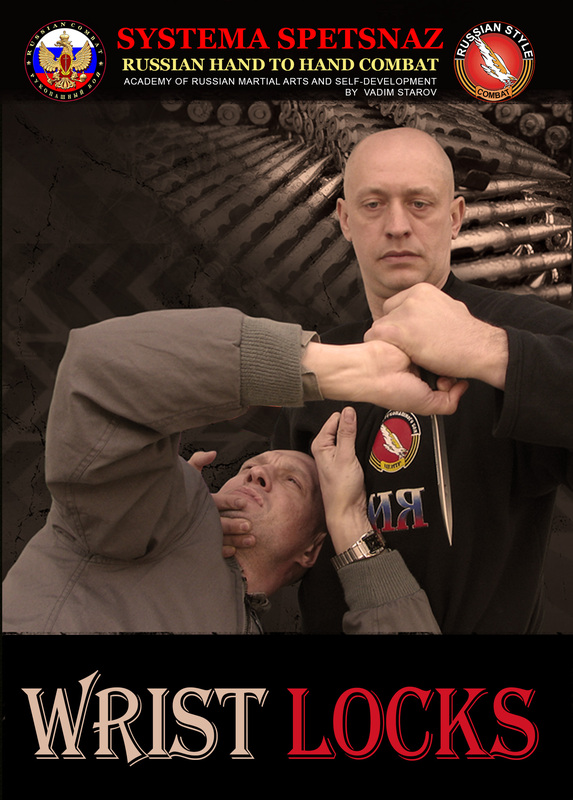 Systema Spetsnaz is quick and easy to learn, uses only 25% of the physical strength! Systema Spetsnaz was originally developed for the military special operation units (Spetsnaz). The task was to teach a soldier the best and the most effective fighting techniques in a short amount of time. No one can predict what can happen during a war. The Spetsnaz soldier must rely on himself. The soldier might be wounded and his physical strength might not help him. Spetsnaz soldiers must know how to fight with multiple opponents under difficult weather conditions and in a dangerous environment. 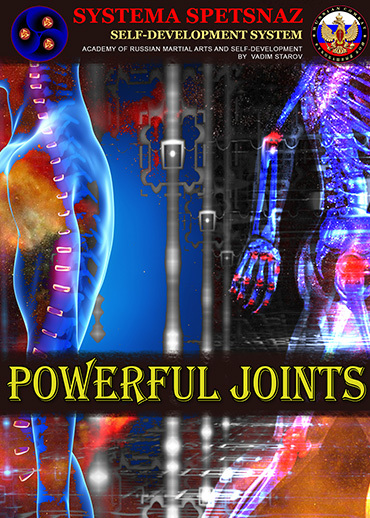 That is why we are teaching how to use only 25% of your physical strength and generate the strong power using a body weight, a point of support, rotation and, levers. The Spetsnaz soldier must not only survive, but also to complete the assigned task. 5. Systema Spetsnaz is also dedicated to Self-Development training. Learning combat techniques and improving your physical shape is often not enough to win the fight. 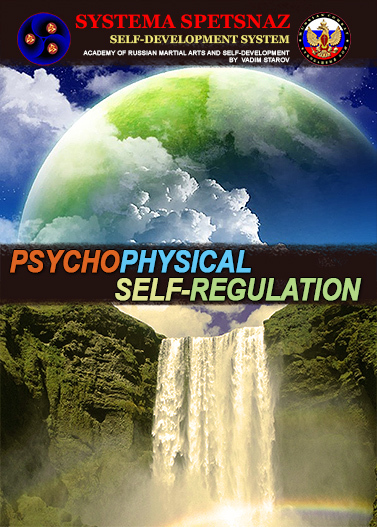 A person should be psychologically ready and be able to control the stressful situation. 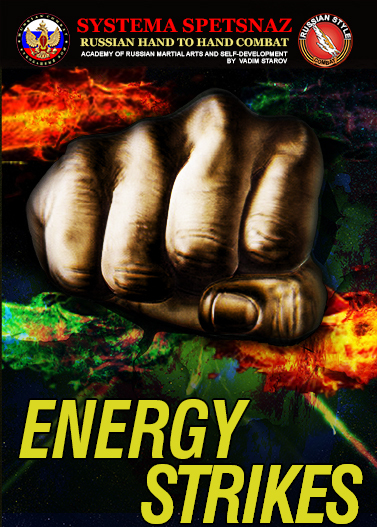 The knowledge of human psychology help to control an opponent on the invisible level: predict his next move, read his emotions and use his energy against him. 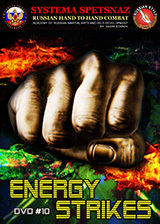 By learning breathing, meditation techniques and working with your own energy you will advance in your combat skills and gain a great benefits your daily life! And, we always like to say “safety is number one”. Listen to your body, do not force your self, feel your body. Your body is your best teacher! If you can not do something today, you can come back to it tomorrow. Your own body and is your best instructor, you just have to learn how to communicate with it. Russian Spetsnaz Seminars - 8.5 hours! 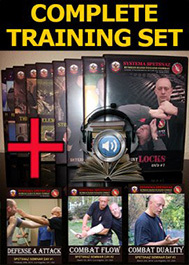 Systema Spetsnaz 14 DVD set - Beginners Package!! Systema Spetsnaz Complete Training Set - 20 DVDs + Audio Lesson! All payments are secured with SSL certificate! The Best Spetsnaz Video, with "how to" instruction, contains great techniques. DVD features psychological as well as strategical elements which need to be taken into consideration. Copyright © 2019 Systema Spetsnaz. Academy of Russian Martial Arts and Self-Development by Vadim Starov. 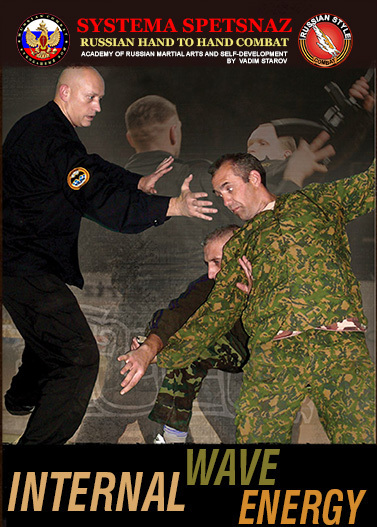 Systema Spetsnaz Training DVDs.